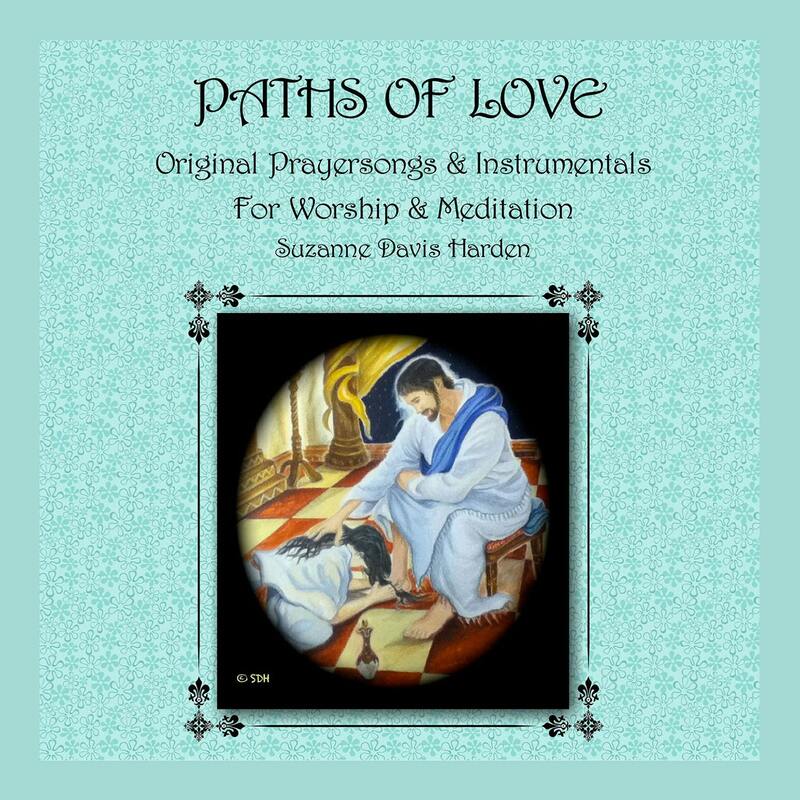 Paths of Love: Original Prayersongs & Instrumentals for Worship & Meditation is my first Praise and Worship Prayersong Album. 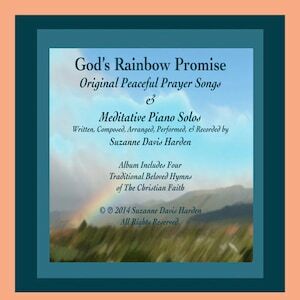 My prayersongs are a unique form of Christian praise and worship music, featuring just my voice and its own echo as its only accompaniment, producing calming, peaceful, spiritually intimate music. 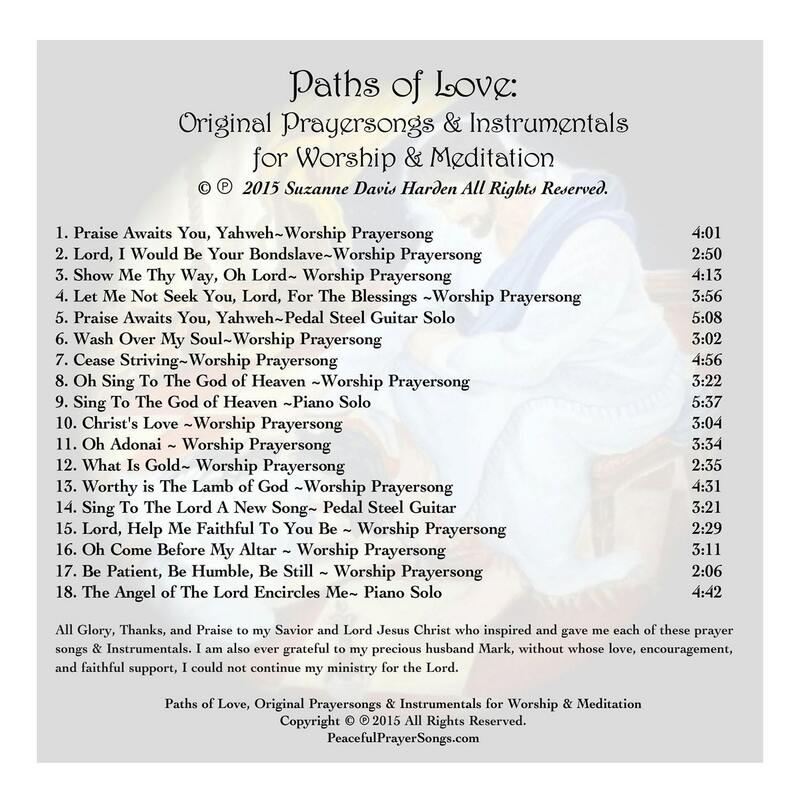 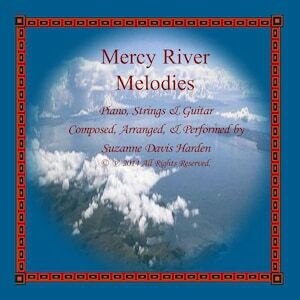 I include four instrumental solos on this worship album. 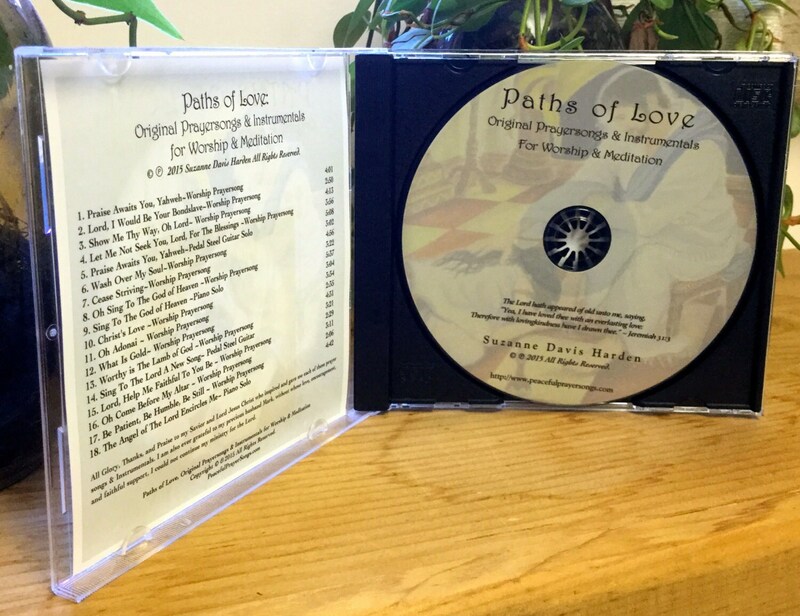 Paths of Love features 18 tracks of spiritually intimate praise and worship prayersongs that are intended to lead listeners to the very heart of our Creator, who longs to spend time with His children in intimate worship with Him. 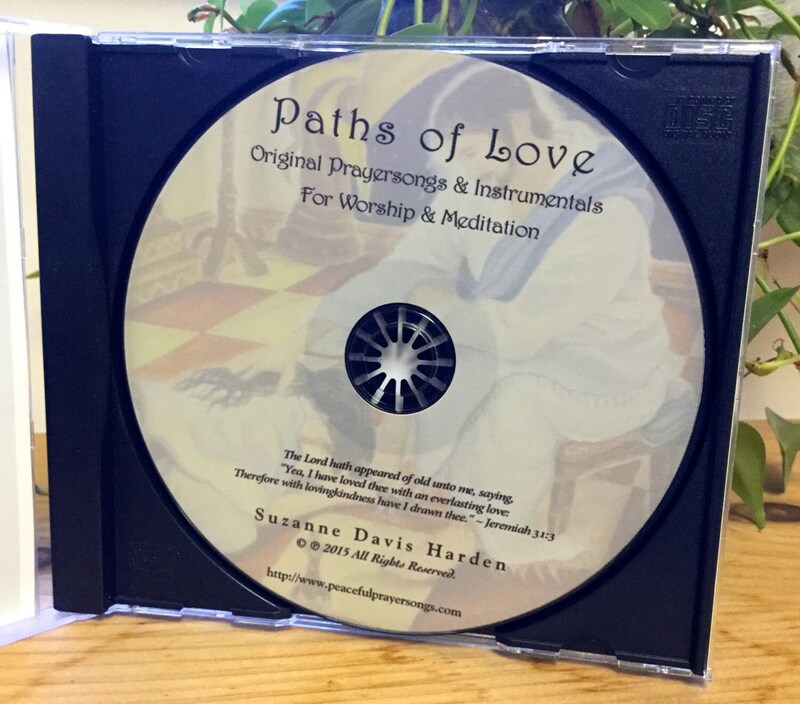 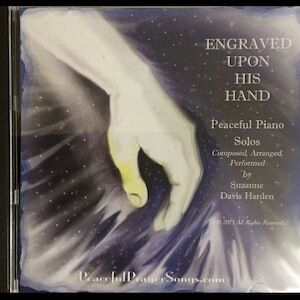 The CD is available as a digital download on Amazon, ITunes, cdbaby.com, and everywhere on the internet where music is sold~(the audio cd version of this album and all of my music is also available through cdbaby.com to international buyers with very low shipping costs). 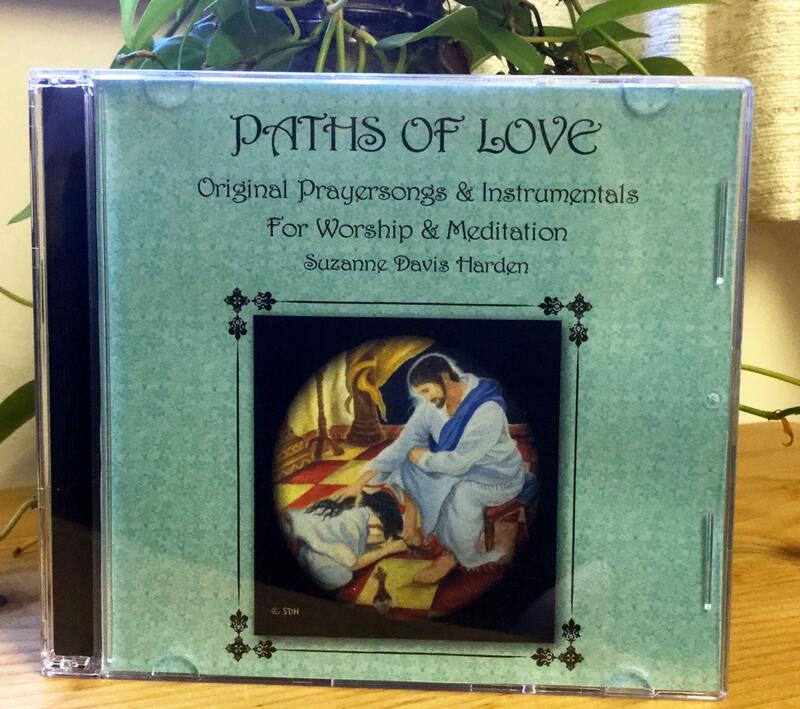 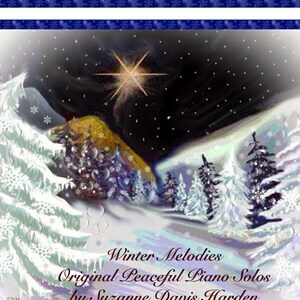 Should you buy this album, I pray it will be a blessing to you and draw your heart closer to the Lord.